Alfa’s sporting mini, the Mito, is now available in the award-winning Twinair engine technology. The 875cc twin-cylinder 85hp turbo engine with electro-hydraulic valve control technology delivers 67.3mpg. 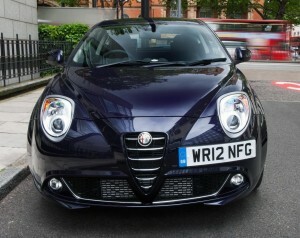 That’s quite impressive and makes the Mito the cleanest and most economical car in its class. Alfa says it has the ‘lively performance of a petrol engine with the efficiency of a diesel’ which makes it perfect for urban driving. If you like them then crack on because there’s a special five-year warranty available for retail customers until 30 September 2012. It will probably cost £14,500 when it goes on sale in September. This entry was posted in News and Views and tagged alfa, alfa romeo, alfa romeo mito, caption, car, control technology, LV, mini, Sport, technology, turbo engine by Steve Lumley. Bookmark the permalink.